1. Wash the potatoes and peel the skin. Prick with a fork all over. 2. Coarsely powder coriander seeds, ajwain, fennel seeds, peppercorn, cumin seeds and red chilli flakes. 3. 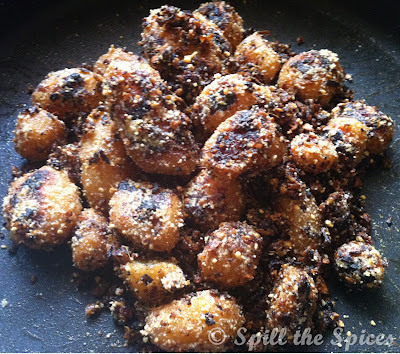 Mix 1 tbsp oil, ginger-garlic paste, coarsely powdered spices, amchur powder, thick curd and salt. Add this to the potatoes, mix well and marinate for 1 hour. 4. In a pan, heat oil. Add finely chopped onions, curry leaves and little salt and fry till onions are golden brown. 5. Add the marinated potatoes. Close lid and cook till potatoes are cooked. Check salt and add if required. 6. 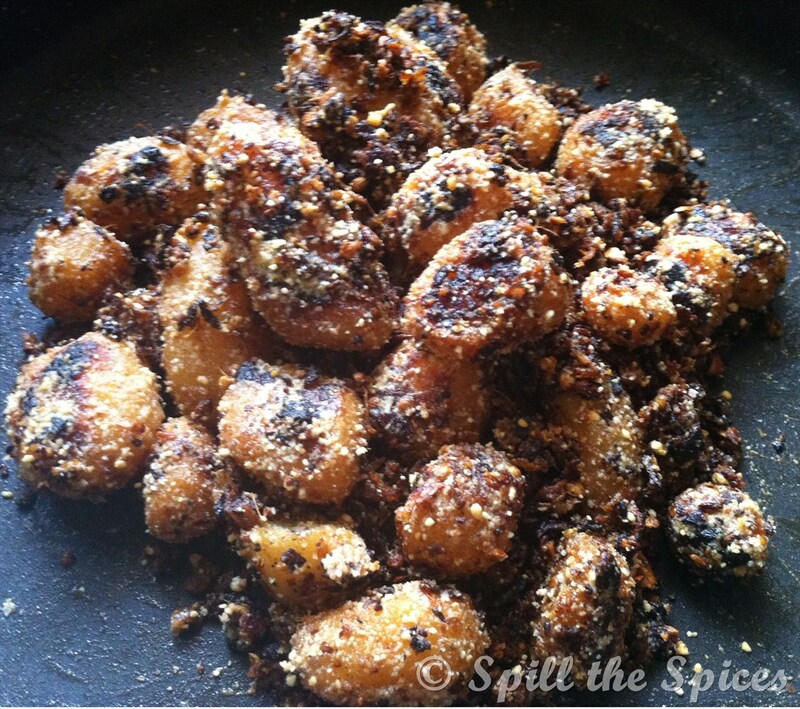 Once potatoes are cooked, add the roasted peanut powder and fry for 10 minutes.